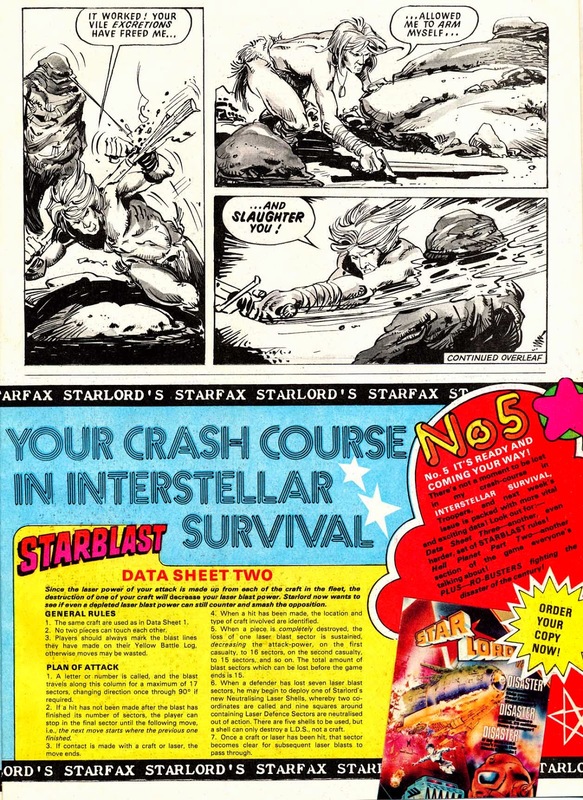 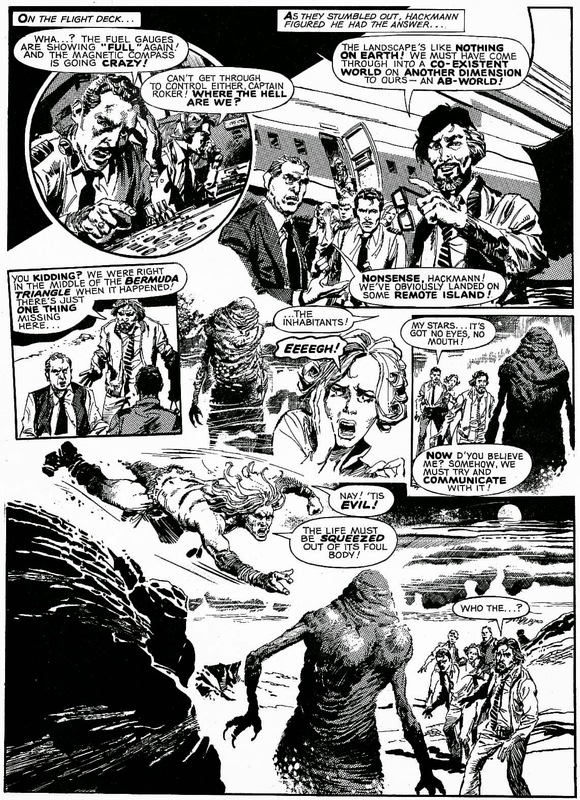 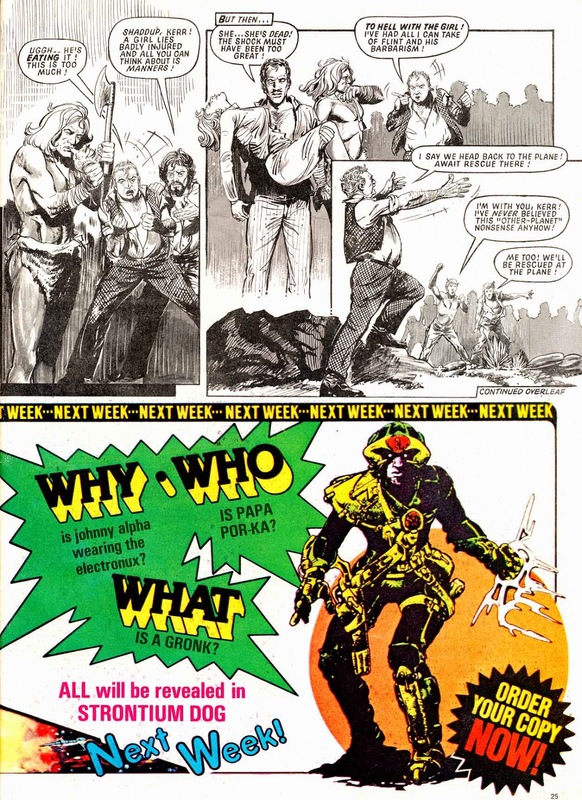 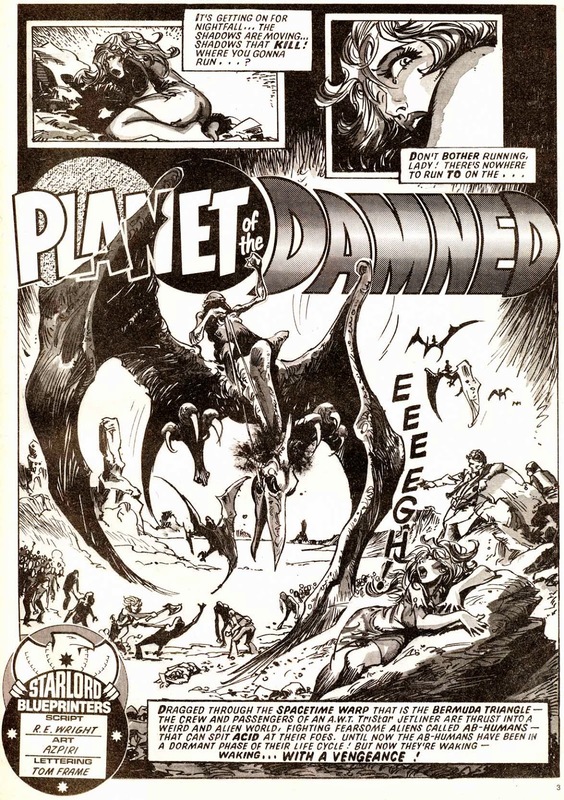 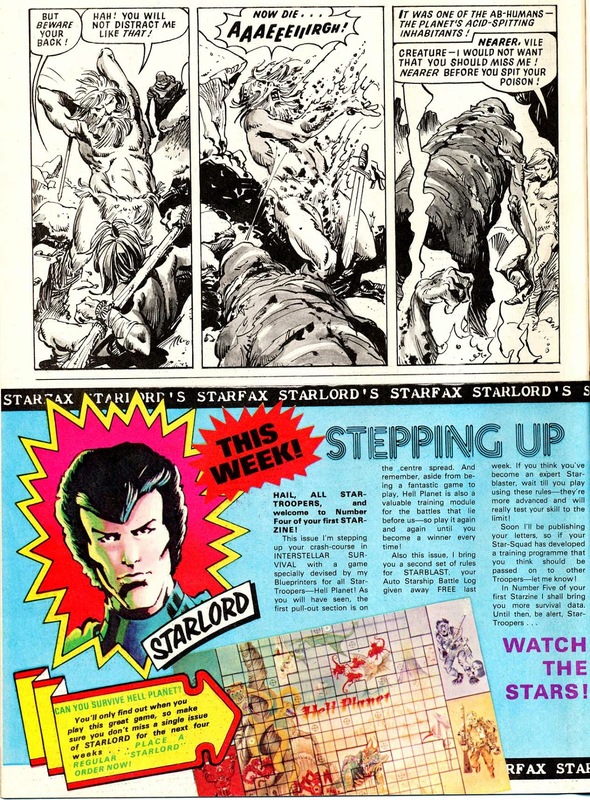 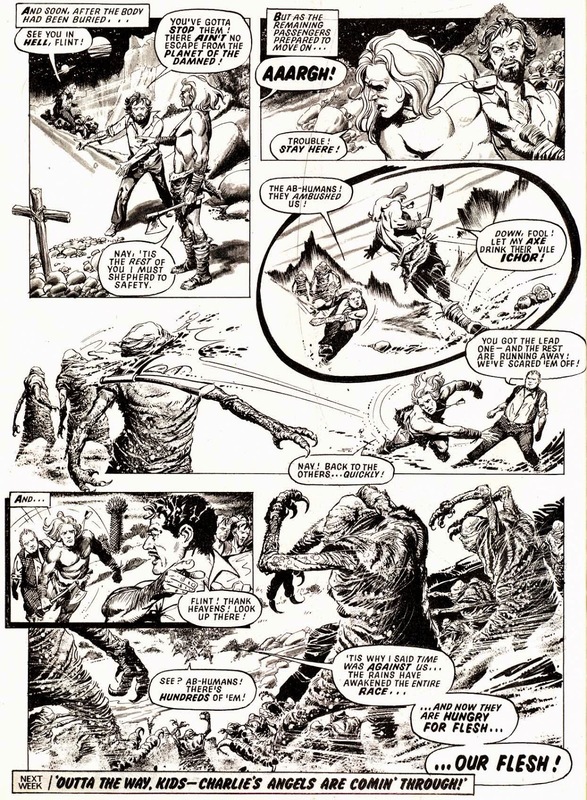 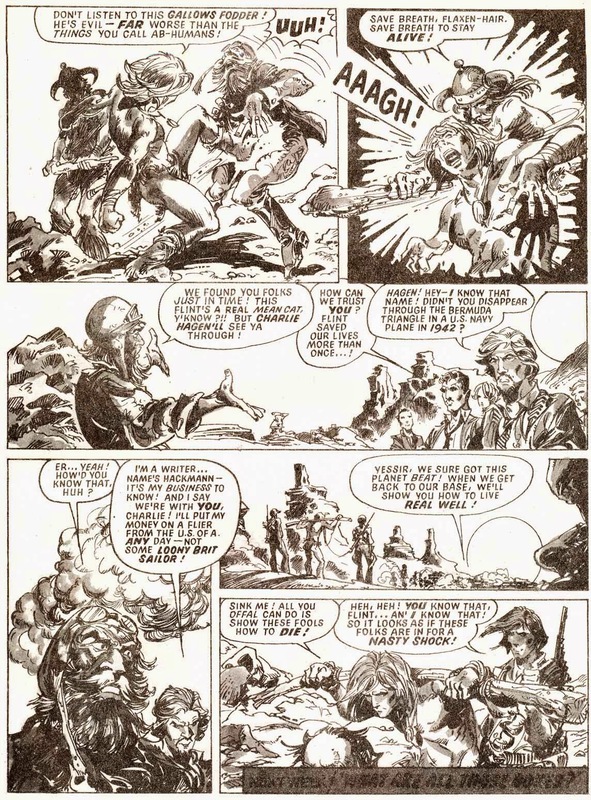 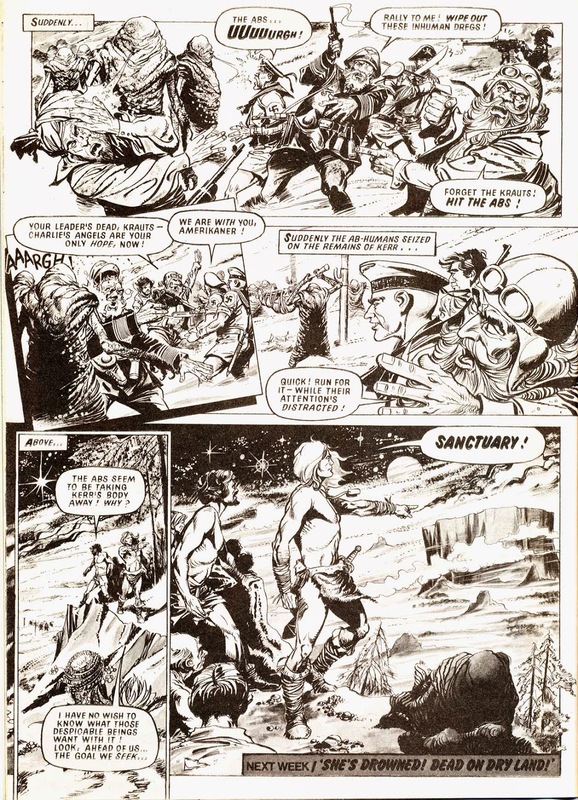 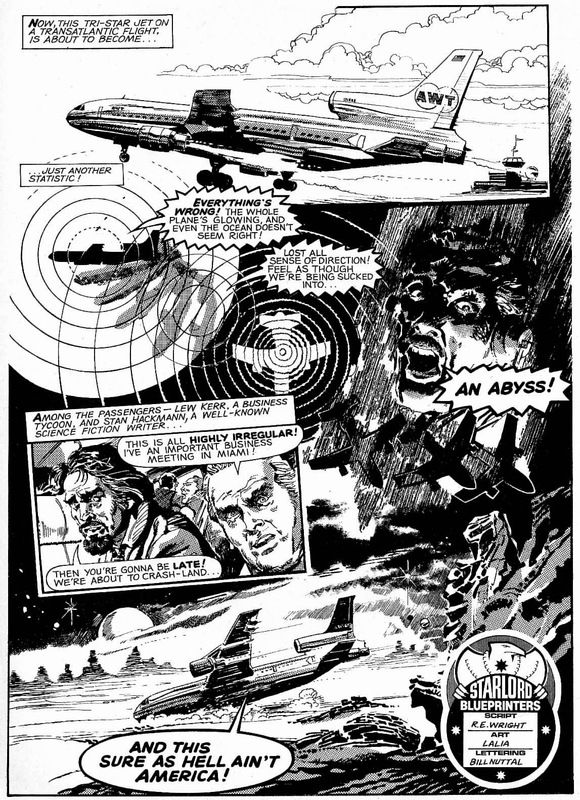 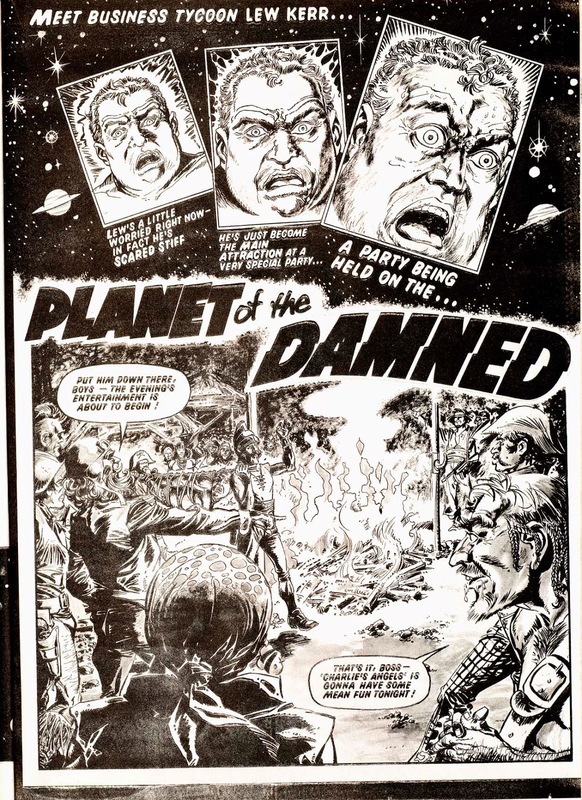 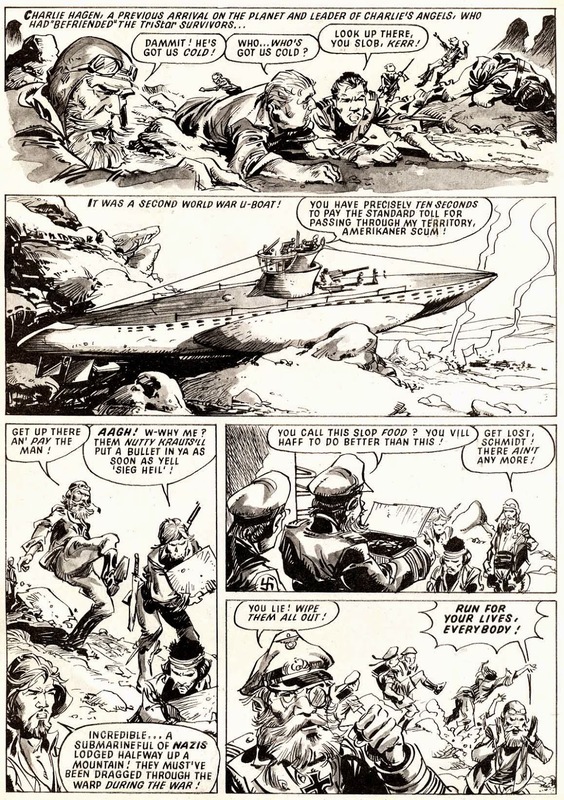 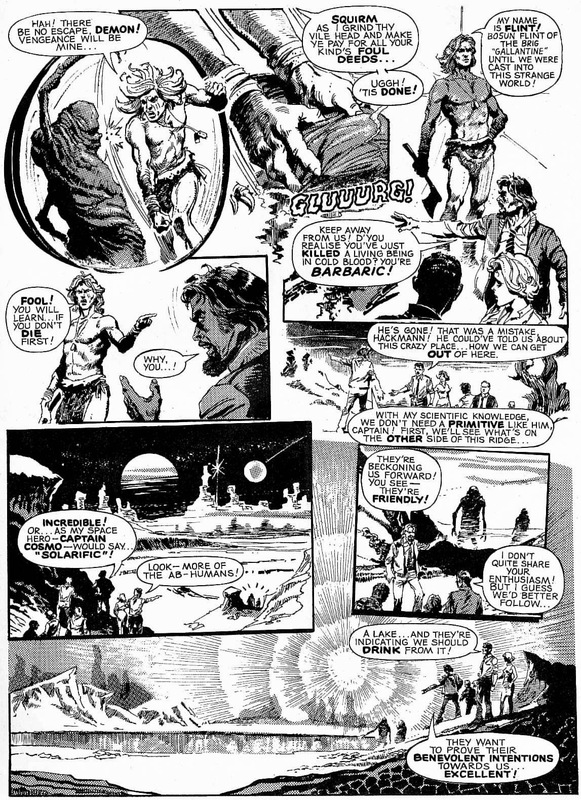 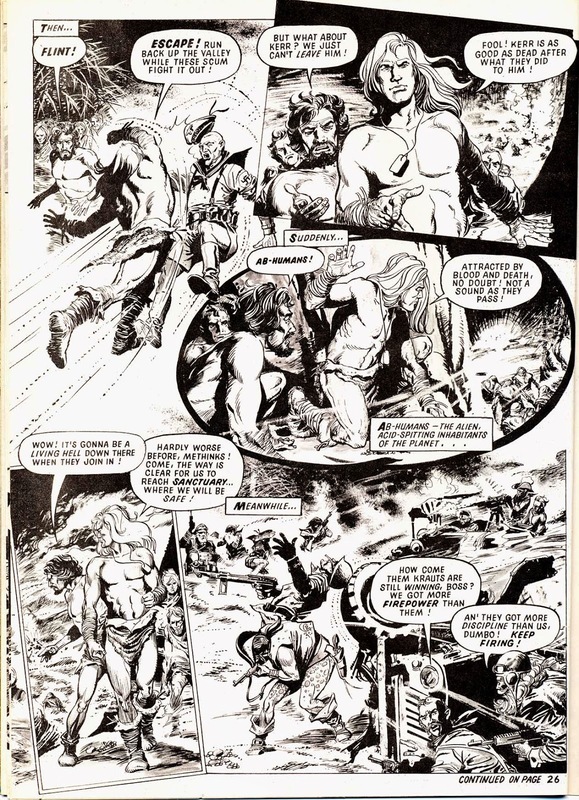 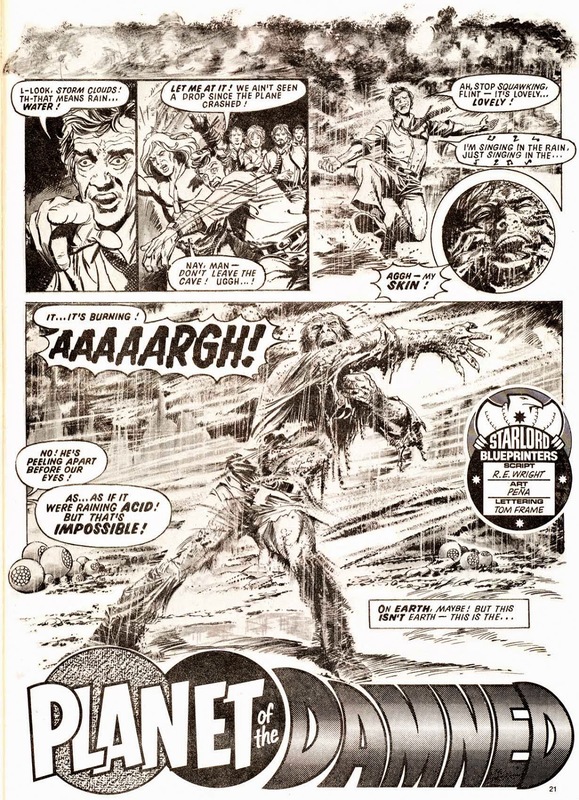 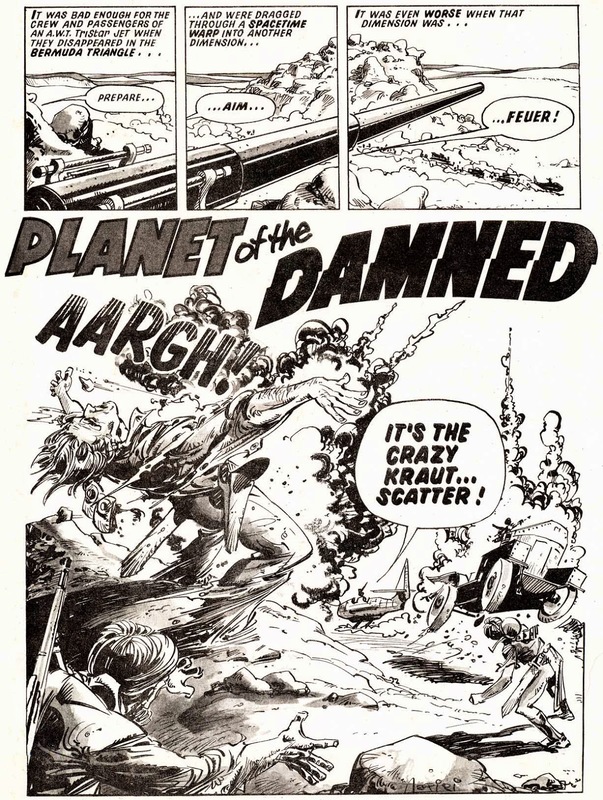 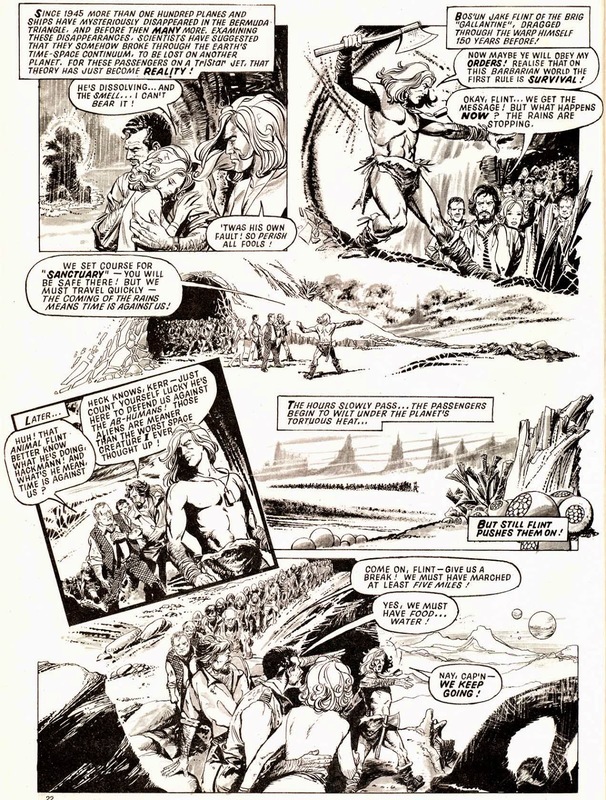 Planet Of The Damned was a rock hard serial that kicked off 2000AD's all too brief sister title Starlord. 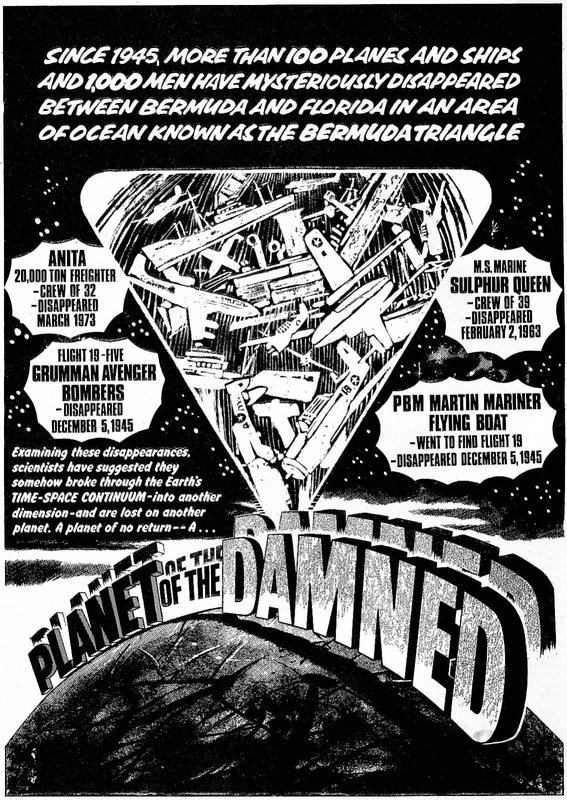 Using that oh so '70's premise of a bunch of people lost in The Bermuda Triangle, it's one of those strips that absolutely will not stop. 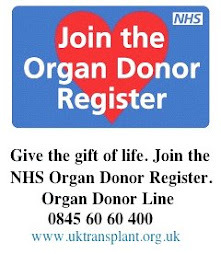 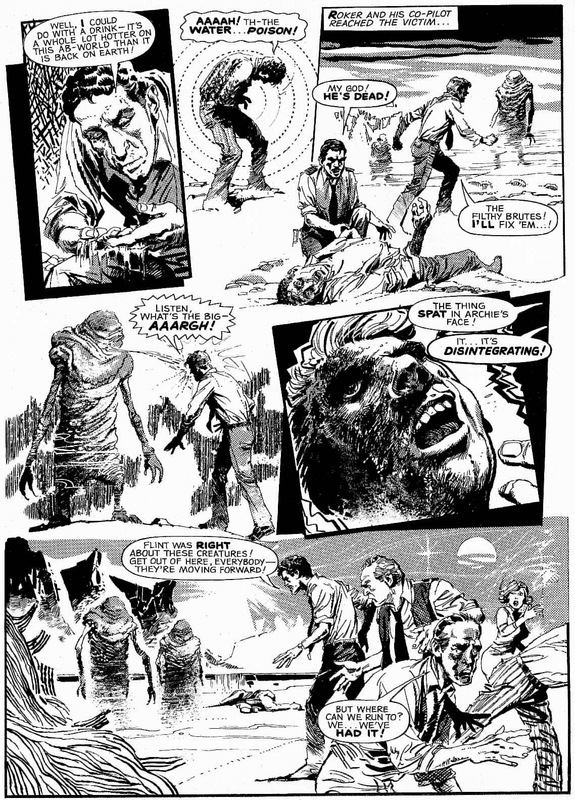 Survivors dying gruesomely one by one! 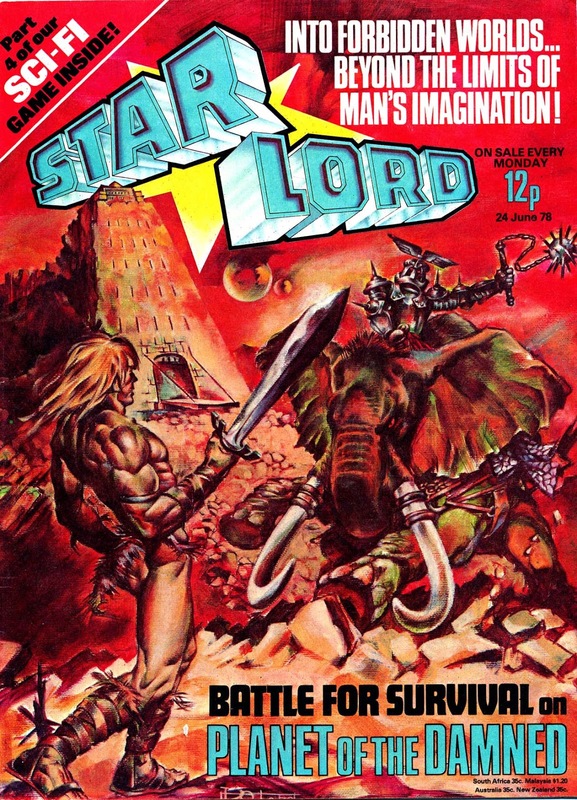 Ka-Zar lookalike anti-hero! 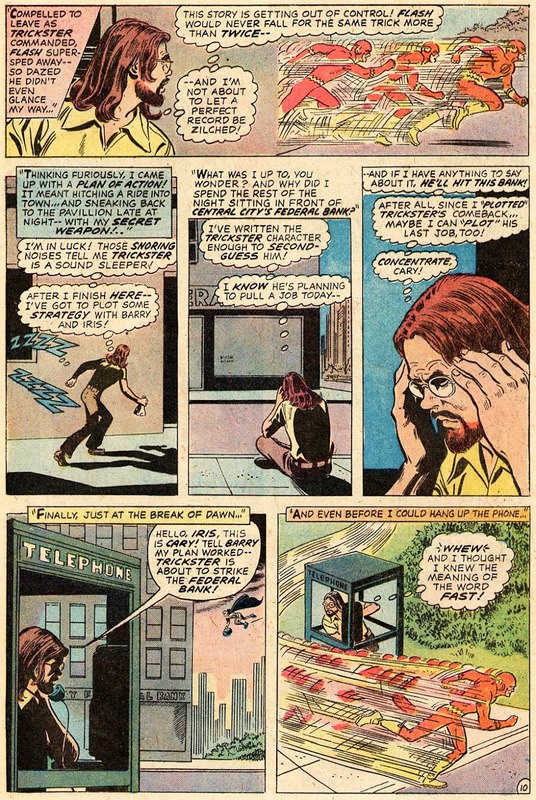 Fat sleazy villain who won't listen to Ka-Zar lookalike anti-hero! 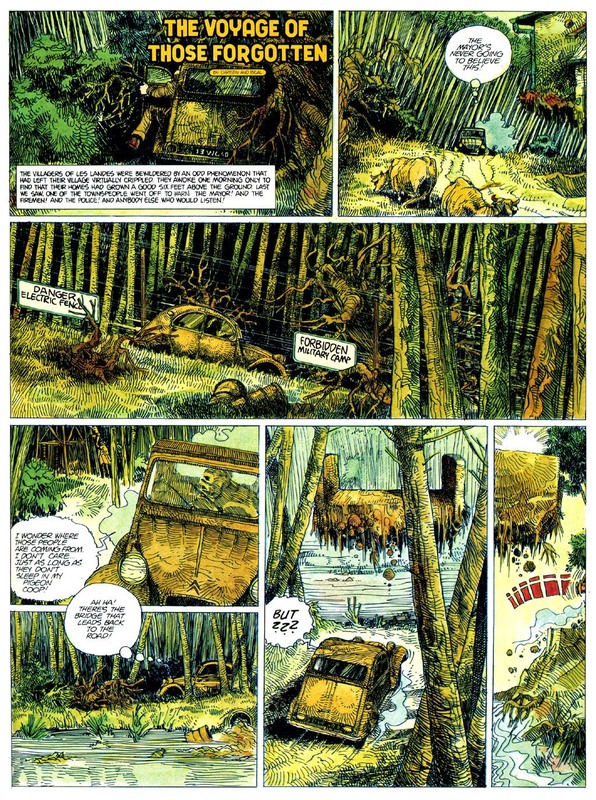 Acid Rain, Spitting Mutants, Nazi's and Cannibals! 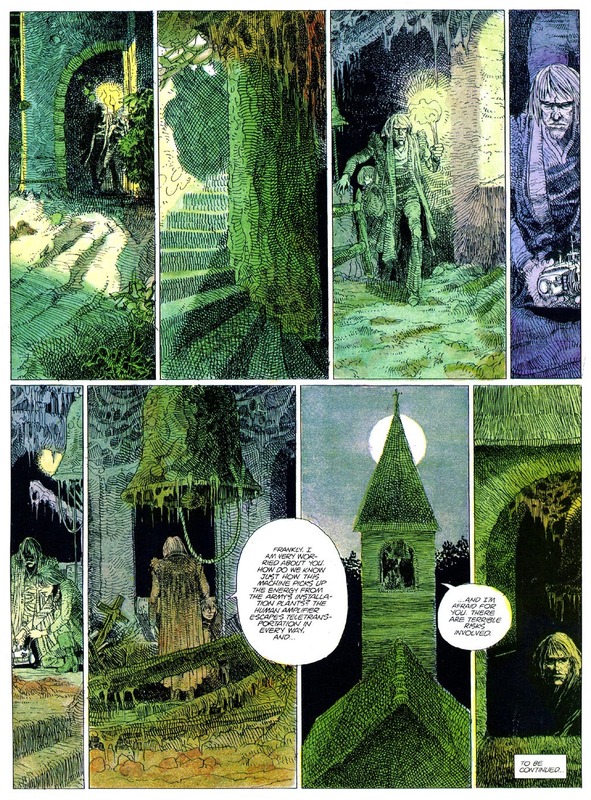 Like a lost strip from Creepy or Eerie, this one ticks all the boxes. 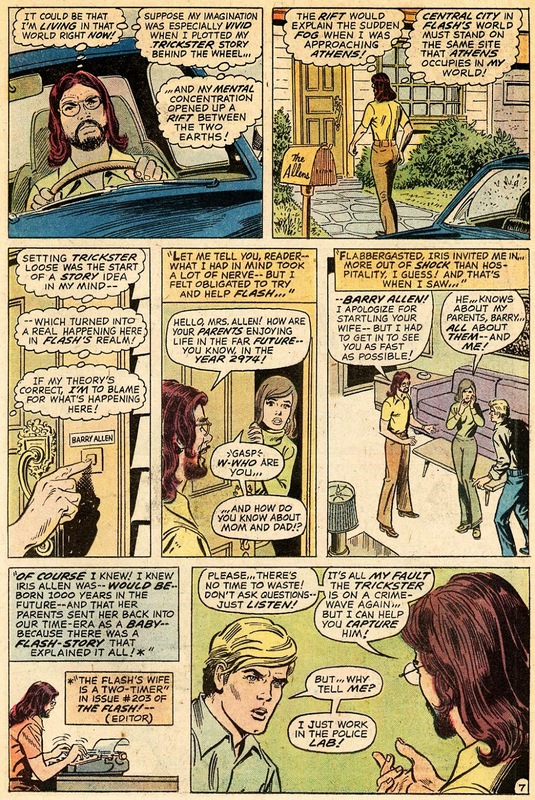 'Cos sometimes you just want trash. Season 1 was a bit of a mixed bag for me, with a great cast giving it their all, but really it was 7 or 8 episodes stretched out to 13, it was more The Kingpin's origin than Matt's, and I hated the costume ( when it finally appeared ). 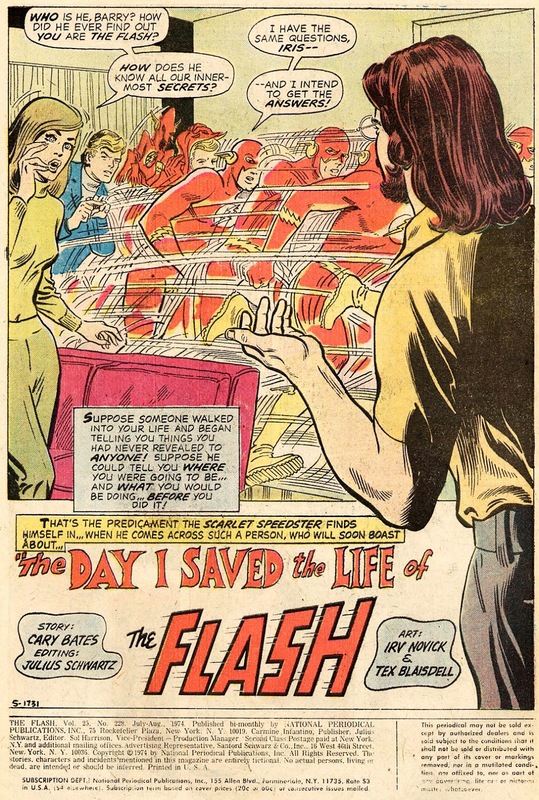 Plus Netflix relied way too heavily on the fact that we'd watch one episode straight after the other, without any kind of cliffhanger to keep us interested. 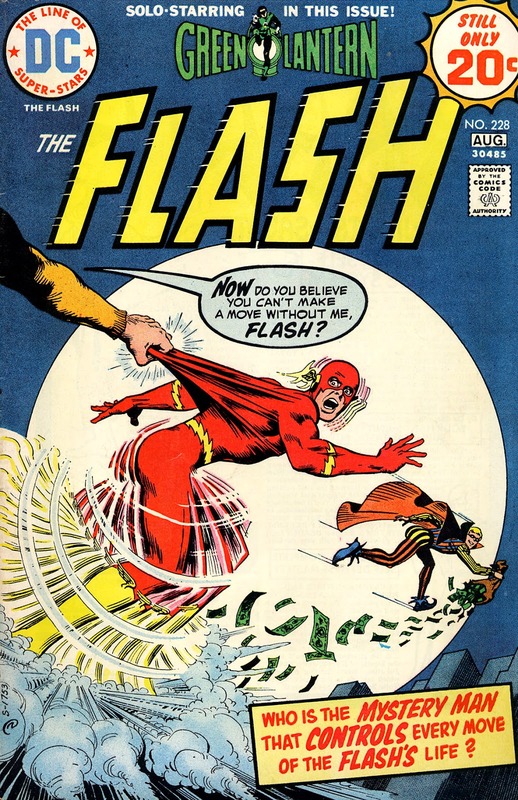 Well, I've only watched the first three episodes of season 2 today, and I'm still not that keen on the costume, but what an improvement! 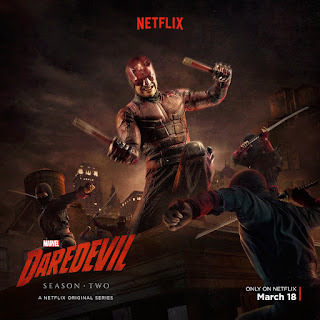 The cast are still great, plus Jon Bernthal off The Walking Dead is a perfect Frank Castle, and the third episode has THE best fight scene Daredevil's ever had. 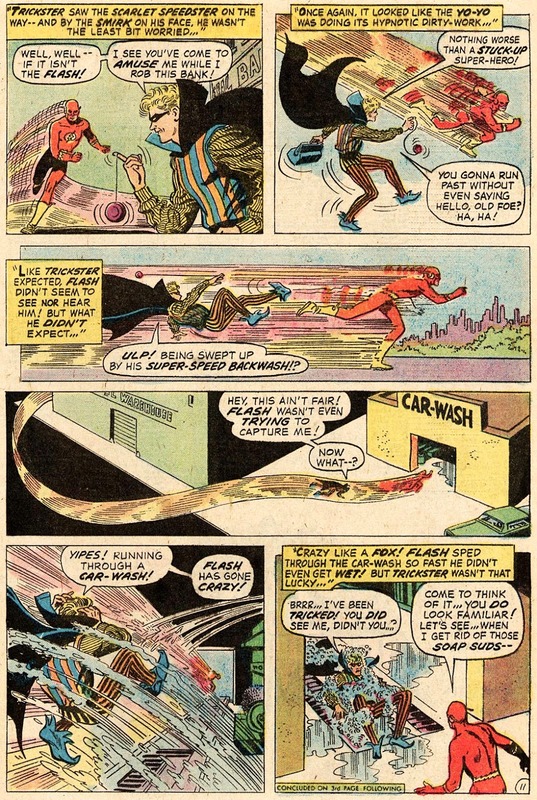 Make that the best fight scene anyone's ever had. 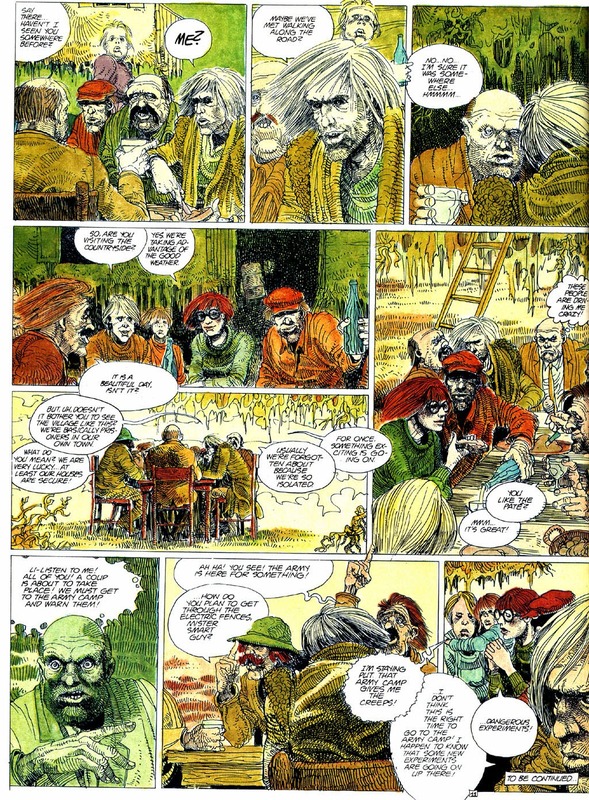 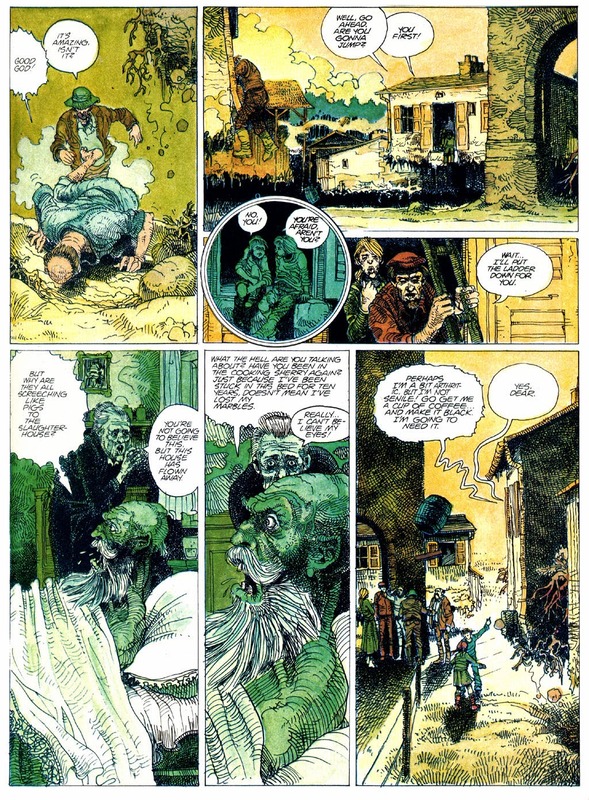 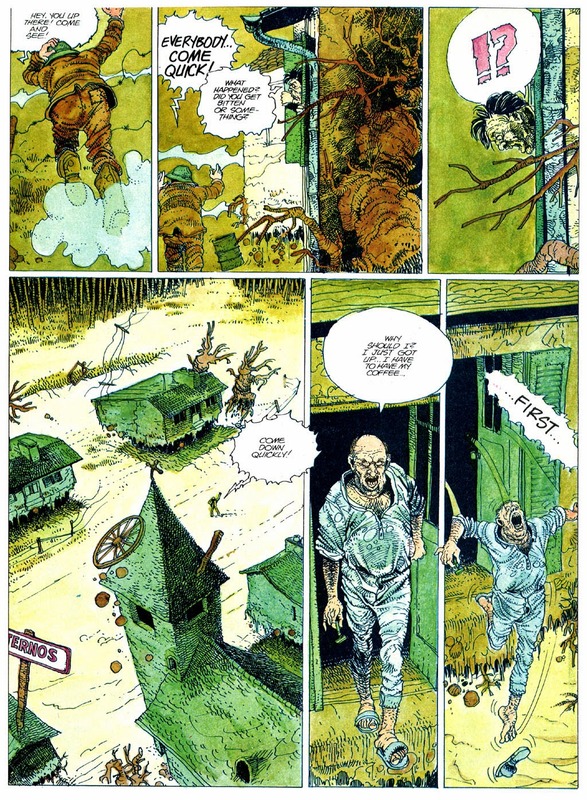 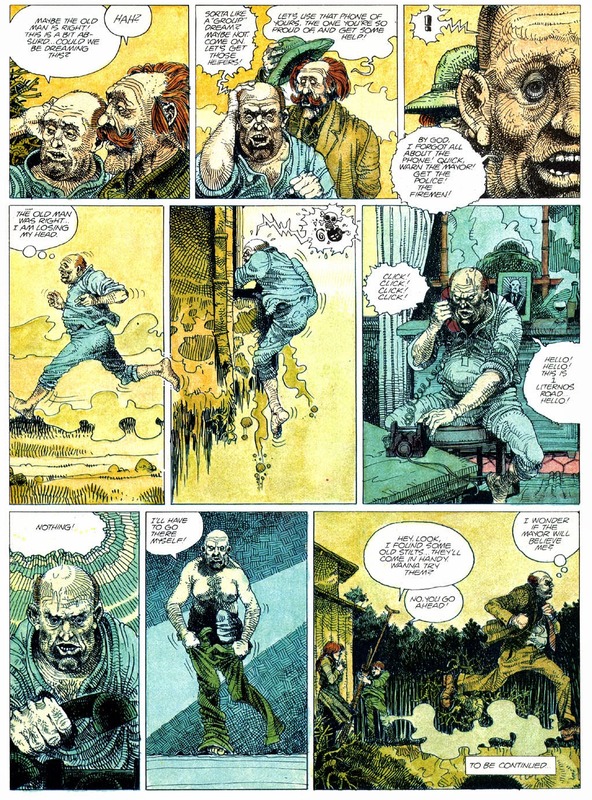 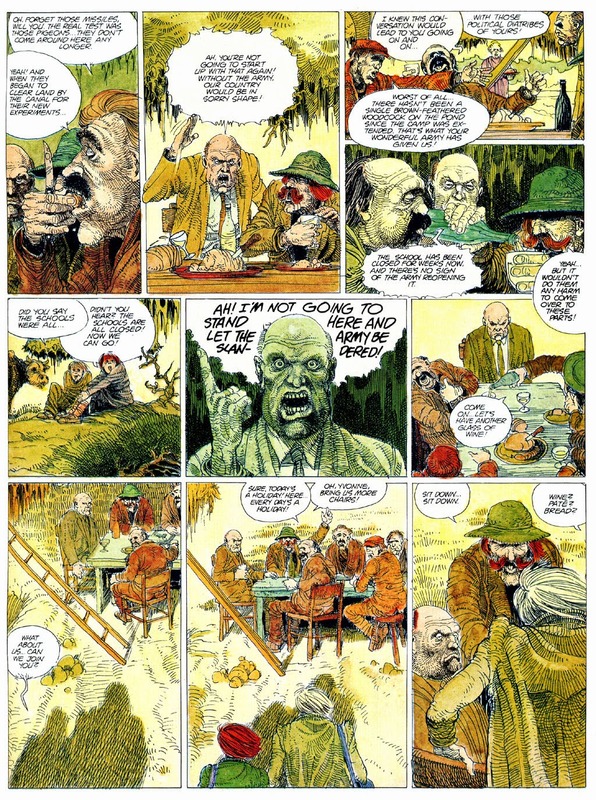 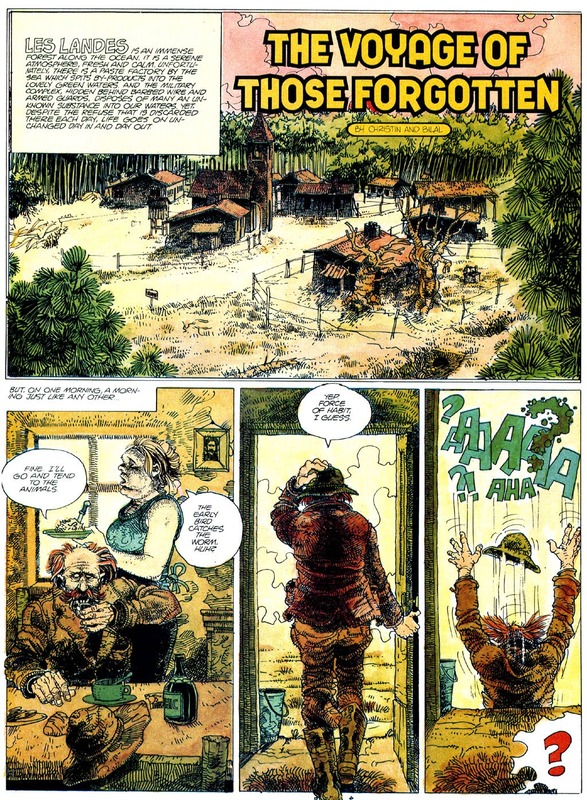 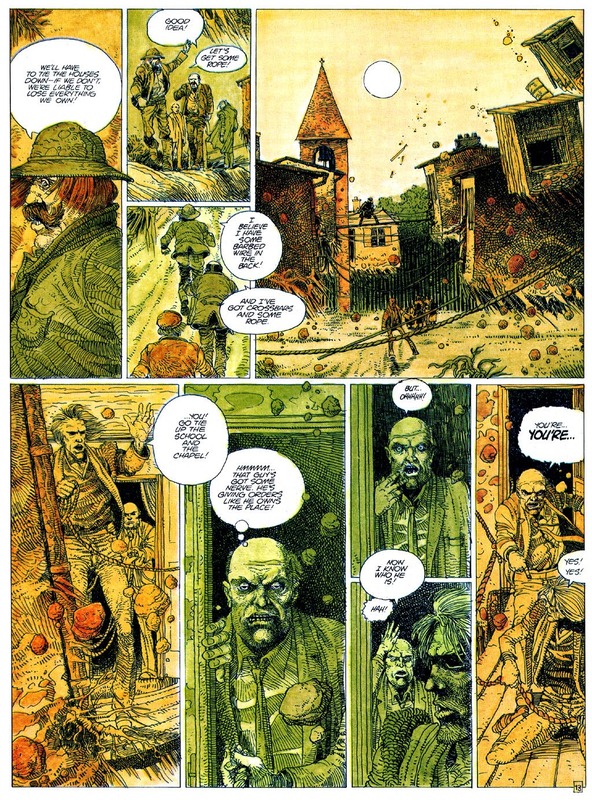 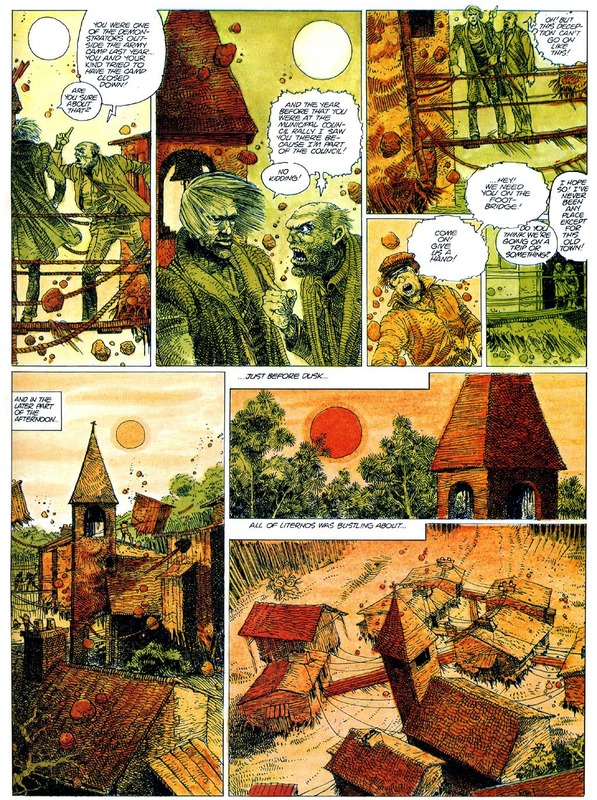 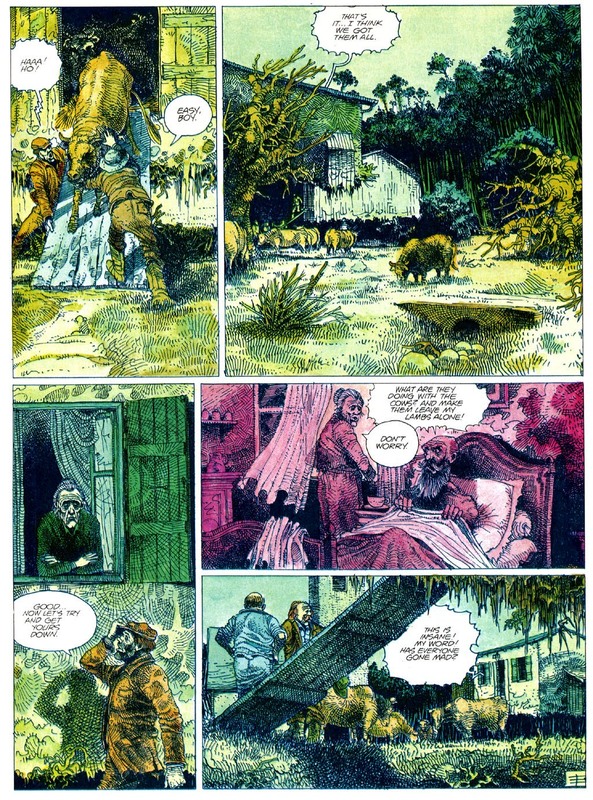 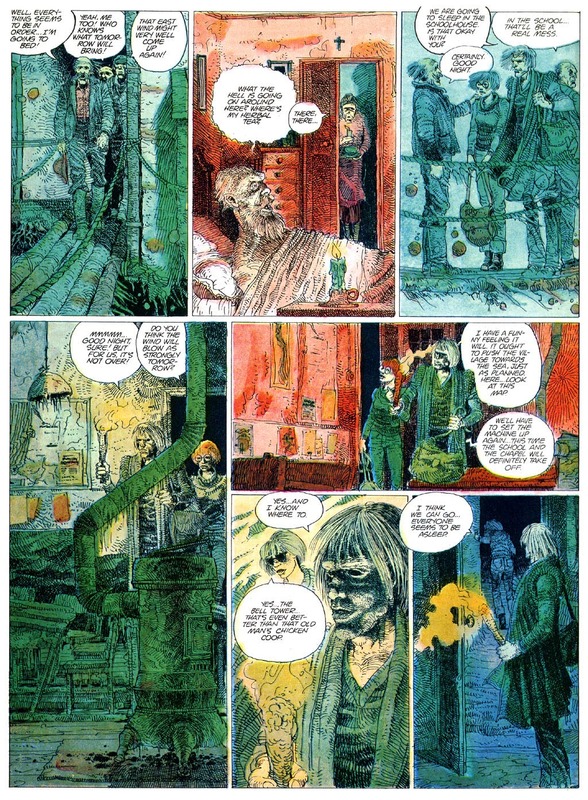 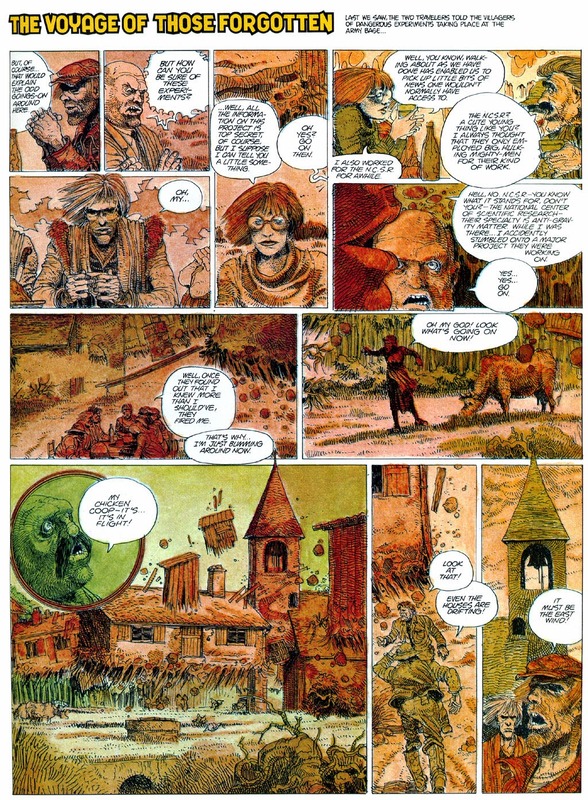 The Cruise Of Lost Souls was the first of Enki Bilal / Pierre Christin's so-called 'Townscape' trilogy, a series of environmental fables, that all follow much the same basic idea. 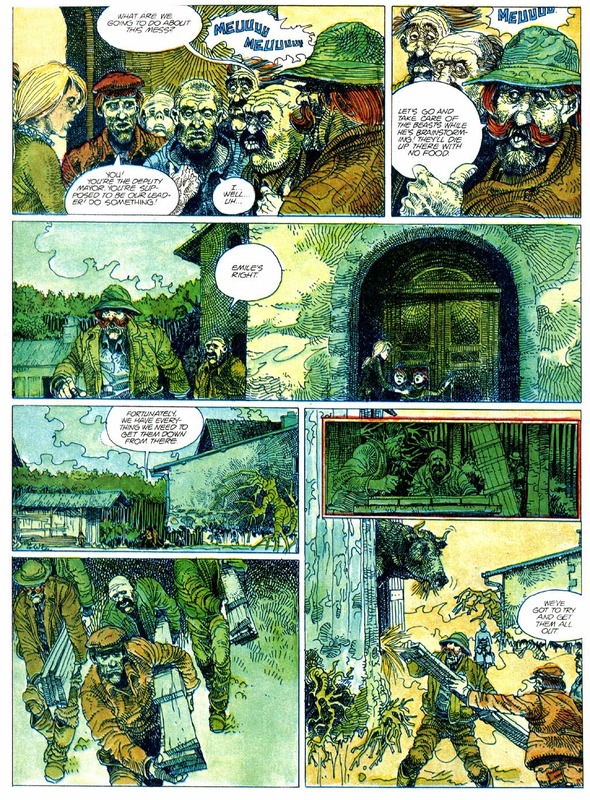 As a group of unscrupulous politicians and businessmen set out to ruin the lives of the average working man, something magical happens to block the path of 'progress'. 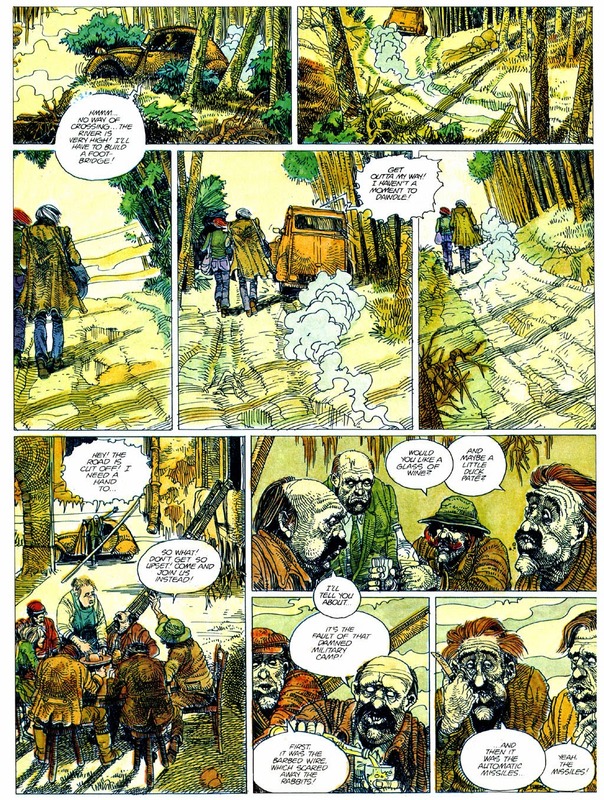 Always involved is the mysterious white-haired man ( who looks kind of like a gallic Elric ) who turns up at opportune moments, and always knows more than he lets on. 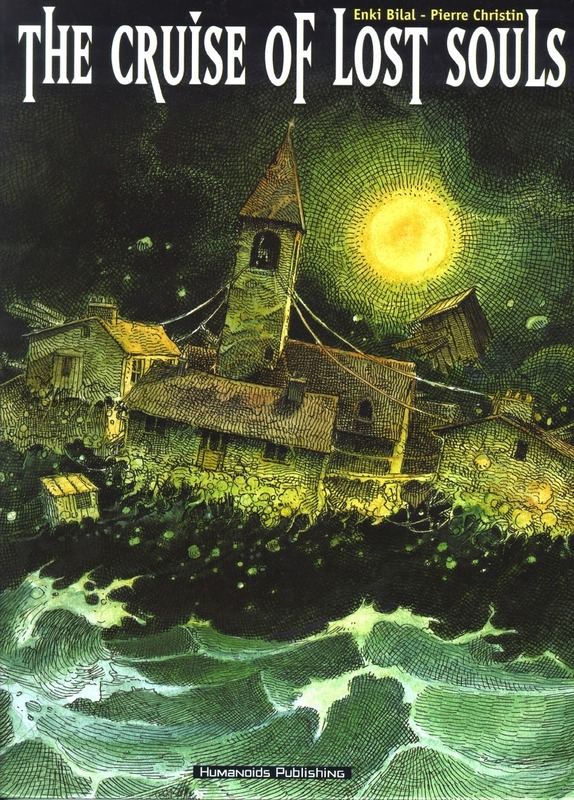 Titled The Voyage Of Those Forgotten when it originally ran in Heavy Metal, ( a better title I think ) this tale is about a tiny Italian ( or possibly French ) village that takes it upon itself to one day float off into the sunset. 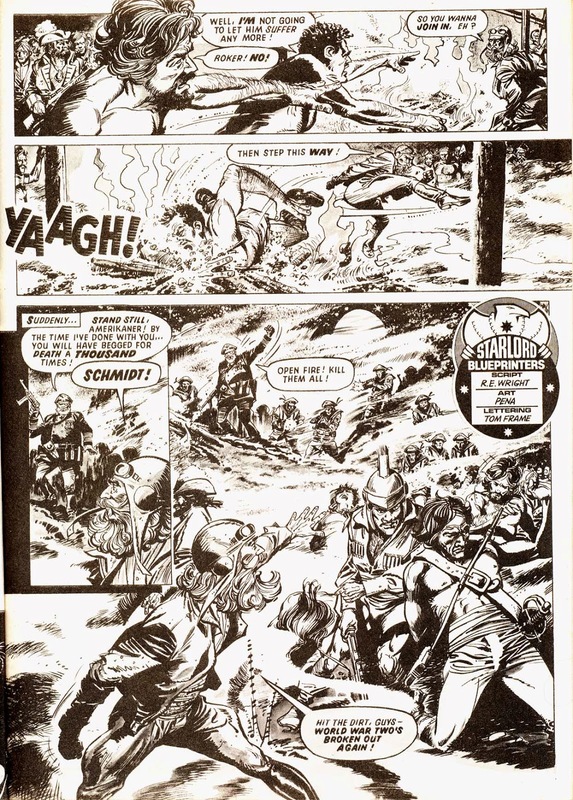 The message is sometimes forced, but Christin's script manages to hit just the right side of whimsy, ably lightening Bilal's usual gloom encrusted worldview ( although he really lets himself go in later episodes, where army officals start mutating into hideous monsters ). 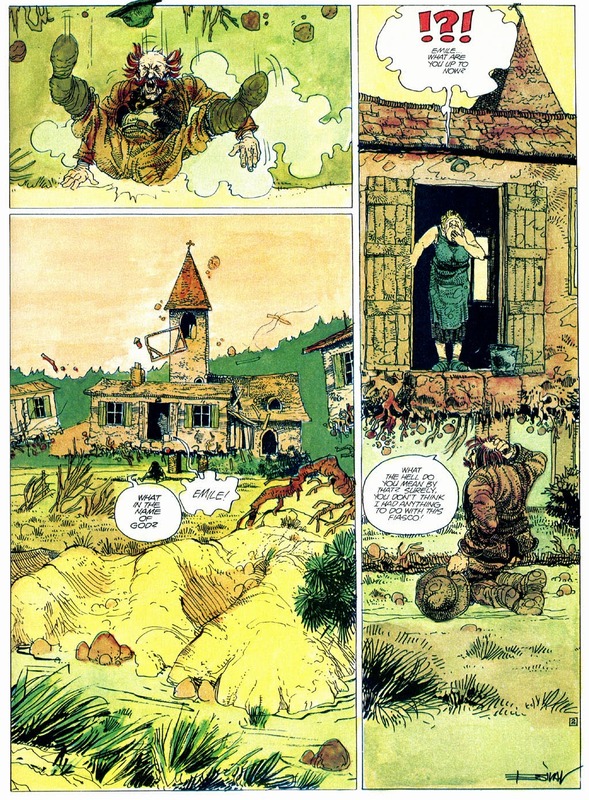 But it's the comedic, secondary characters I like, such as the bedridden old man who refuses to believe any of it is happening, the kids who realise they won't have to go to school, and the fact that, confronted with such a bizarre set of happenings, the villagers take the only sensible option, and break out the wine, bread and pate. 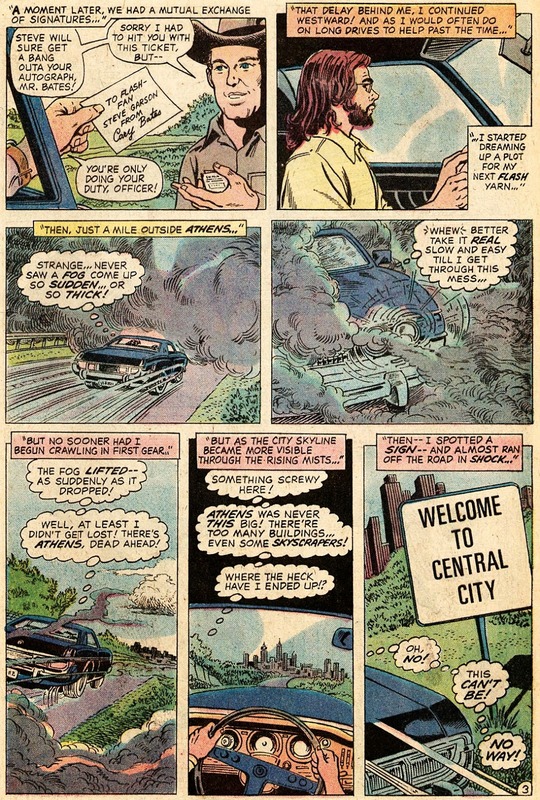 Here's the first few episodes. 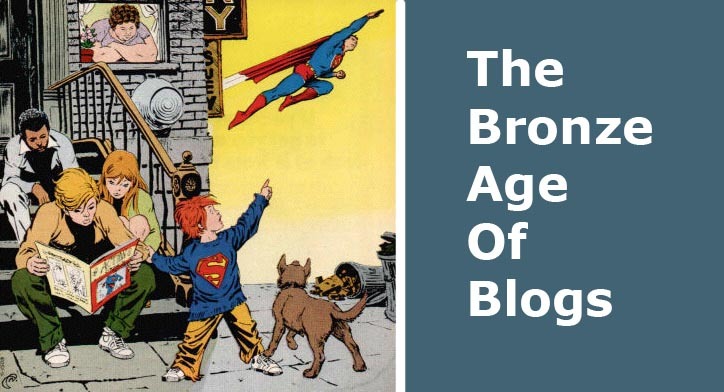 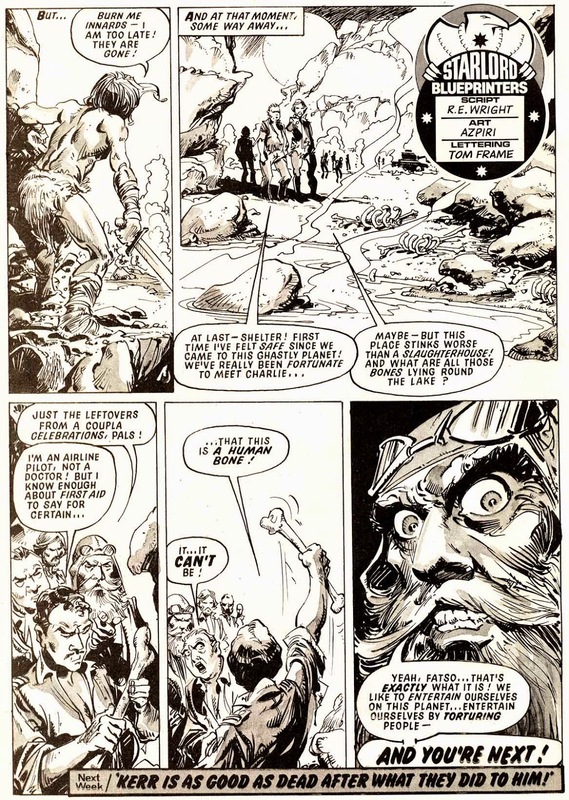 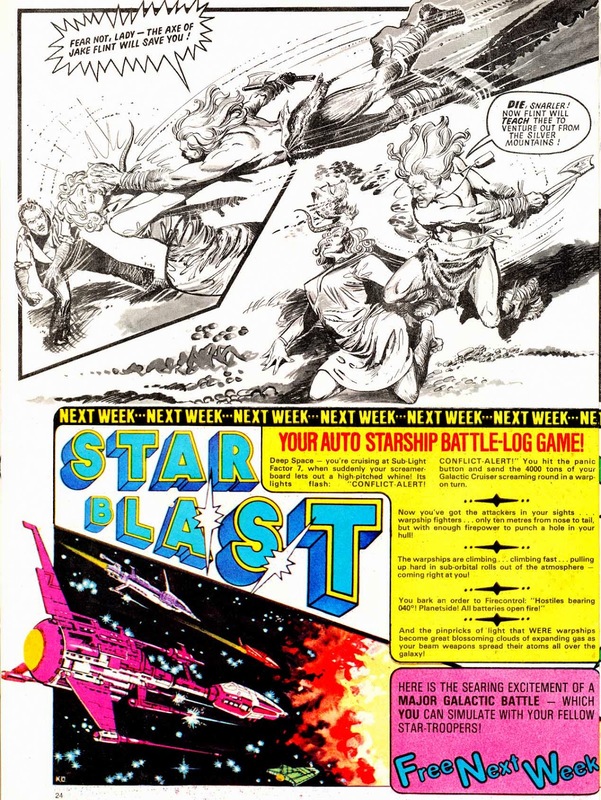 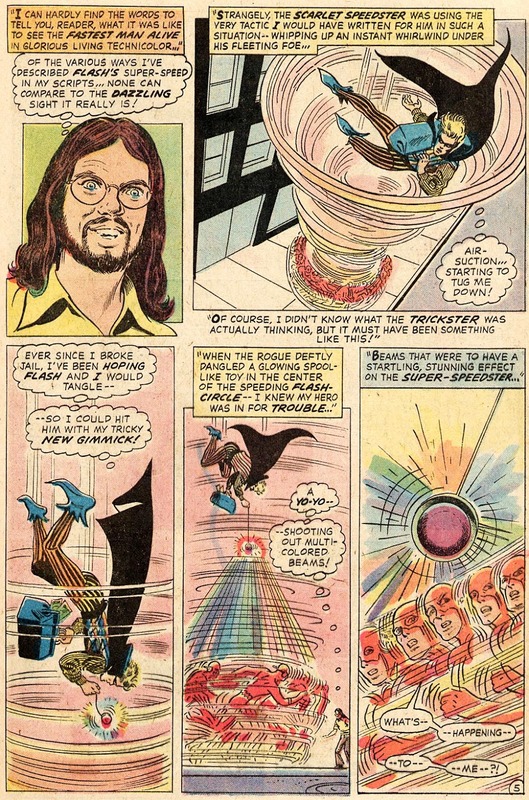 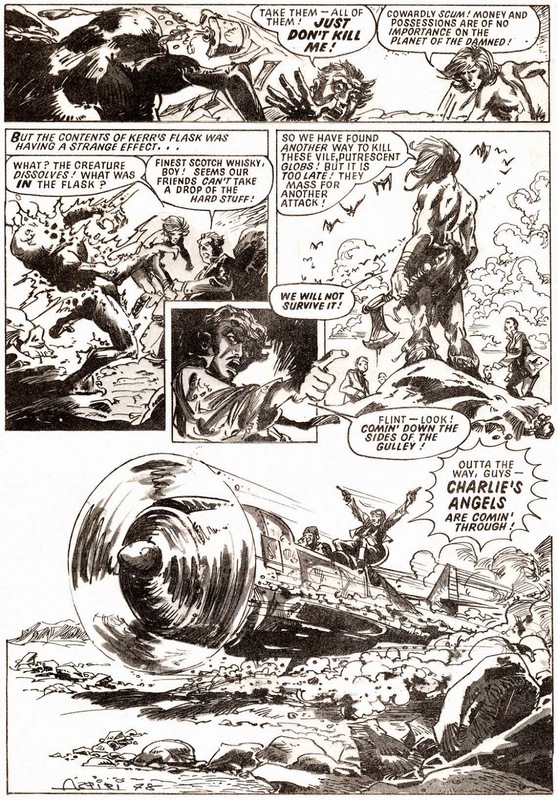 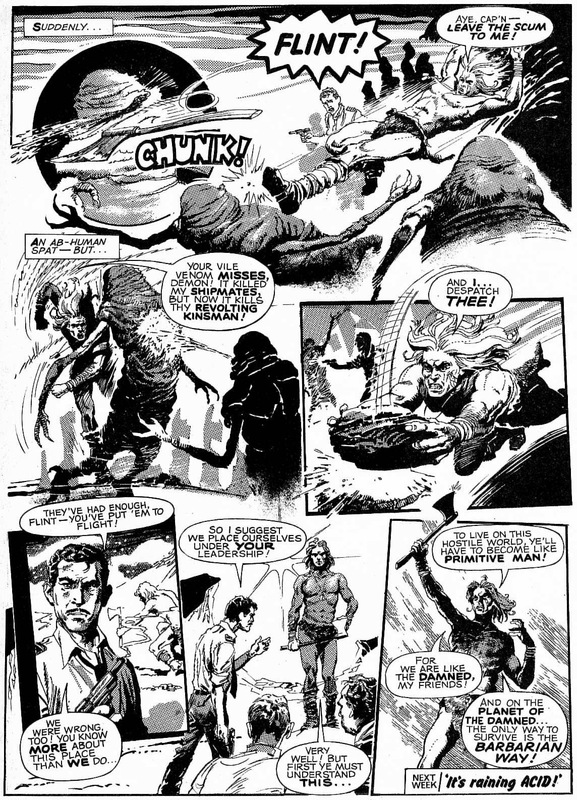 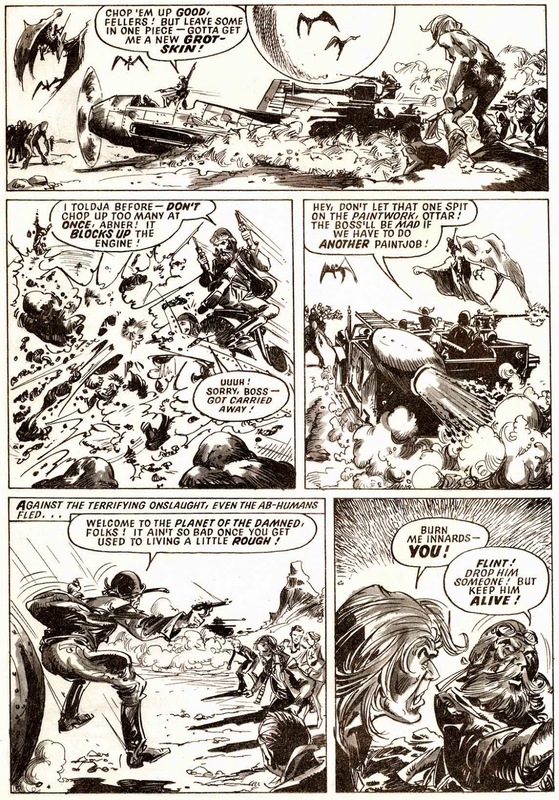 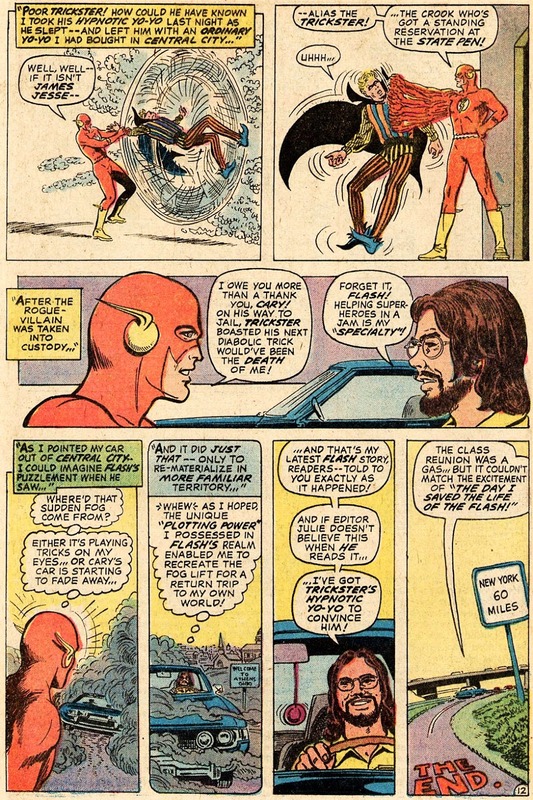 Here's a bit of fun, as regular Flash scripter Cary Bates shoehorns himself into that month's story for no other reason than that he feels like it. 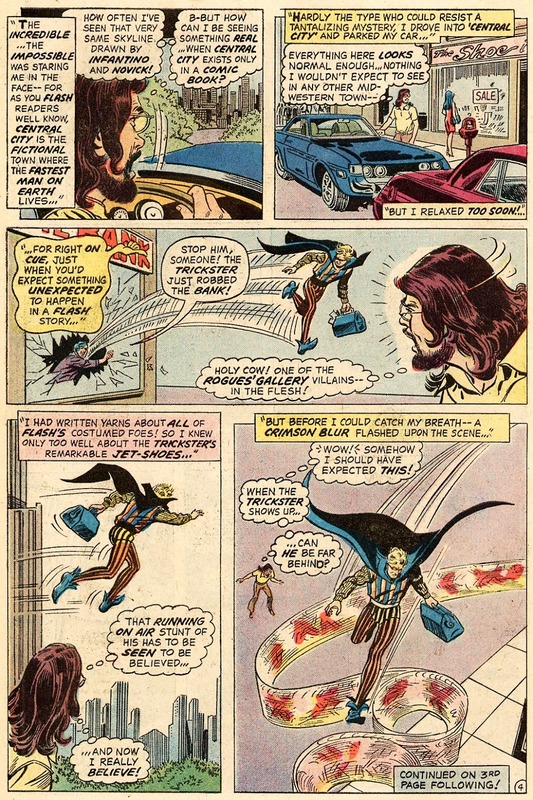 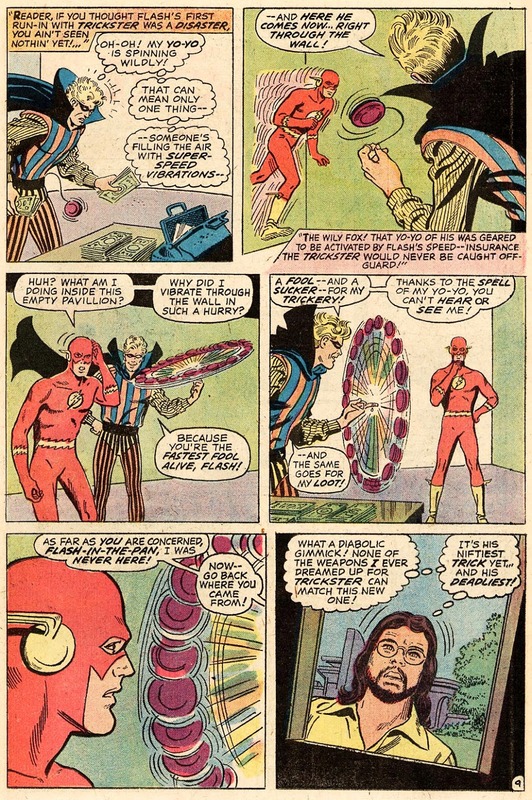 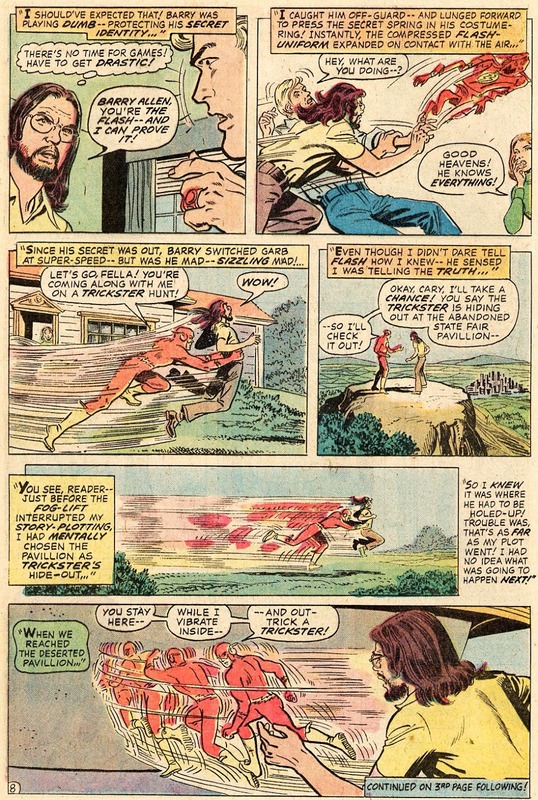 This really is an issue of The Adventures Of Cary Bates with special guest-star The Flash, as The Monarch Of Motion really has very little to do when The Trickster shows up for the millionth time, while Cary is literally in nearly every panel. 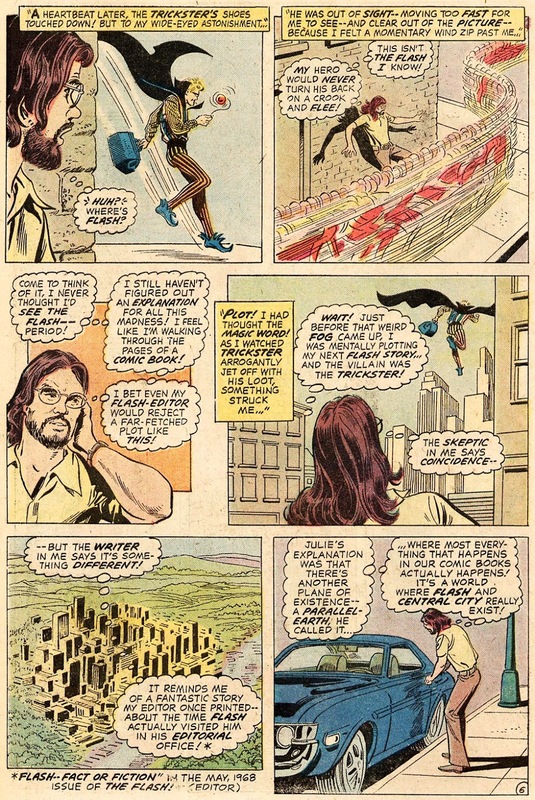 But these kinds of issues are always fun, even if it does seem slightly wrong that artist Irv Novick doesn't get to tag along as well. 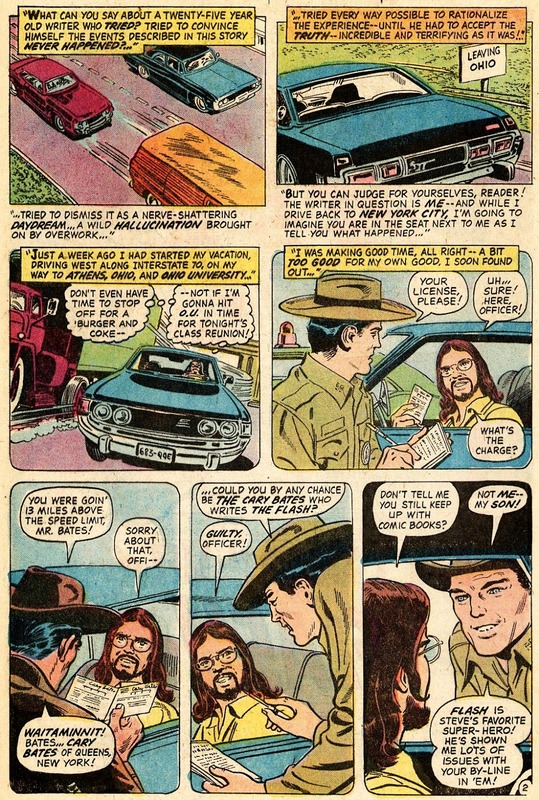 Unless that's him playing the cop maybe?